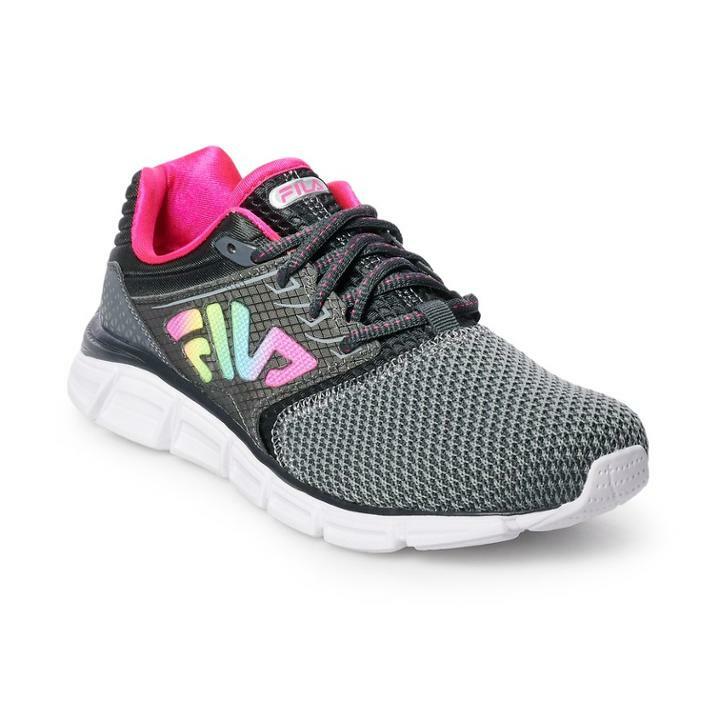 Give your feet the comfort and support they need with these women's running shoes from FILA. Shoe Features Padded collar & tongue Breathable design with durable overlays V-notch Achilles support Memory Foam footbed Shoe Construction Mesh, synthetic upper Textile lining EVA foam midsole EVA outsole Shoe Details Lace-up closure Memory Foam footbed Size: 7.5. Color: Beige. Gender: Female. Age Group: Adult.